Could the reality TV star be Oz bound? Her time on the Spanish island may have been cut short, but rumour has it we could see Rosie Williams swap sun loungers for camp beds and strut into the Aussie jungle when the show returns later this year. Coral bookmakers have tipped Williams to appear on this year’s I’m A Celebrity… Get Me Out Of Here, after dramatically slashing her odds from 8/1 to 3/1. Williams shot to fame on this year’s series of the hit reality TV show Love Island. Before appearing on our screens, the 25-year-old worked as a solicitor at Manchester law firm Just Costs Solicitors. The Welsh-born lawyer isn’t the only Love Island star rumoured to be joining this year’s show. Fellow housemate Dani Dyer, who won the series with beau Jack Fincham, has since been tipped to enter the jungle. It has also been reported that former Love Island contestant Olivia Attwood is in talks for a possible stint on the show. Other celebs linked to join the jungle include Jamie Laing of Made in Chelsea fame, axed Strictly Come Dancing star Brendan Cole and ITV’s Good Morning Britain host Kate Garraway. Now in its 18th series, I’m a Celebrity is a reality TV show in which celebrities camp together and complete challenges known as Bushtucker Trials to win food. The eventual winner is crowned King or Queen of the Jungle. Last year’s Jungle Queen was Westminster law grad and Made in Chelsea star Georgia Toffolo. Though we can’t be sure whether we’ll see a muddied Williams camping outdoors or chomping down witchetty grubs when the show airs this autumn — we do know it’s not her first rumoured TV appearance post-villa. Speaking exclusively to Legal Cheek in July, Williams told us she was in talks to appear on a new legal TV show scheduled for later this year. This series of I’m a Celebrity is the first not to feature longstanding host Anthony McPartlin. The show will be hosted by Declan Donnelly, and new co-host Holly Willoughby while McPartlin takes a break from TV duties following a drink-driving incident earlier this year. 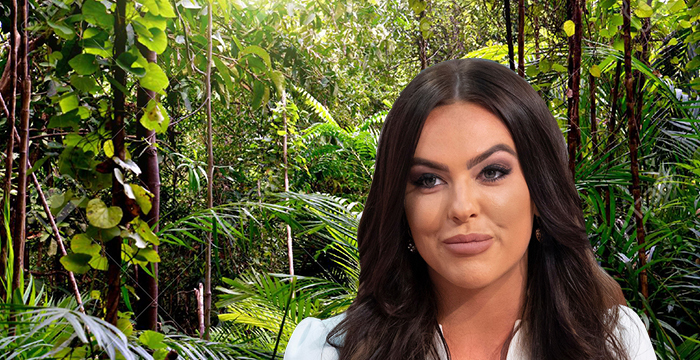 The post Bookie slashes odds for Love Island solicitor Rosie Williams to enter I’m a Celeb jungle appeared first on Legal Cheek.